"The HF-24 Marut was ahead of its times and had the government persisted with that programme, India would have been a generation ahead in design and development of aircraft today." HF-24 Marut is India’s first indigenous fighter. For the HAL and the IAF, July 1, 2016 is a throwback to April 1, 1967. On April 1, 1967, HAL had handed over India’s indigenously designed fighter, HF-24 Marut to the Dagger squadron of the IAF. It was a culmination of a dream dreamt in independent India by Jawaharlal Nehru, to attain self-reliance in the design and production of aircraft. The IAF was asked to provide the requirement for an indigenous fighter in the mid-1950s and the HAL was tasked for the project. In August 1956, Kurt Tank, a German aerospace scientist, accompanied by his deputy, Herr Mittelhuper arrived in Bengaluru in response to Indian government’s invitation to establish and head the design team of HF-24. There were only three senior Indian designers and the entire infrastructure had to be built from the grassroots by the German duo. By April 1959, they had produced the first prototype of the wooden glider, a style preferred by German fighter designers. The two-seater glider had 78 successful flights till March 24, 1960. The construction of the first prototype started soon thereafter and the first official flight of the prototype took place on June 24, 1961, in the presence of the then defence minister, VK Krishna Menon. 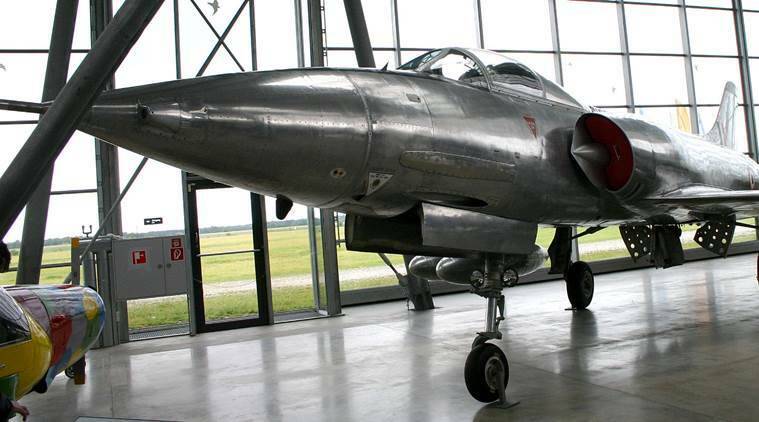 But the aircraft had a problem with the Bristol Orpheus 703 engine, which was already being used in the Gnat fighters. The IAF was reluctant to take an aircraft which offered only a marginal improvement upon the Hunter, but the government took a decision, in late 1962, to induct 18 pre-production aircraft and 60+ series production Mark-1s into service. Indians looked far and wide for a better engine. The Soviet Klimov K-7 was tried but couldn’t fit the existing airframe. The RD-9F axial flow engine met the same fate. India then sought an Egyptian engine, EI-300, which was being developed by Ferdinand Brandner, an Austrian repatriate from the Soviet Union. In July 1966, a pre-production Marut was taken to Helwan in Egypt for trials with the EI-300 engine. In June 1967, the Arab-Israeli war led to the stalling of the development of the EI-300 engine and the Indian test team was recalled in July 1969. The aircraft sent for trials was left in Helwan where it lay for many years, derelict and useless. Meanwhile, a second Tiger’s head squadron was equipped with the Maruts in April 1969. The two squadrons participated in the 1971 war in support of the land forces in the Rajasthan sector. More than 300 combat sorties were flown by the Maruts during that fortnight of hostilities. No Maruts were shot down or damaged by the enemy aircraft throughout the war. By the time the third squadron was equipped with Maruts in December 1973, the fighter had reached 70% indigenization. By 1982, the Air Headquarters was proposing phasing out of the HF-24 fleet on the grounds that it was “no longer operationally viable”. Late Air Commodore Jasjit Singh was with the Operations Branch of Air Headquarters and argued that Maruts had done well in 1971, and their flight safety record was far superior to other fighters such as the Ajeet and Gnat. With brand new aircraft just delivered from HAL production lines –- over a score of them had less than 100 hours of recorded flight — the Maruts could be employed for other roles. “The HF-24 Marut was ahead of its times and had the government persisted with that programme, India would have been a generation ahead in design and development of aircraft today. We lost 25 years in the bargain,” argues Pushpindar Singh. The F-24 Marut still lives at two places. One aeroplane is parked at the HAL Heritage Complex in Bangalore, but more interestingly, another shining aircraft stands in a corner of the Deutsches Museum in Munich. The Germans consider the Marut as part of their technological achievements. But it is often forgotten in India. On the day Tejas is inducted into the IAF, it is a good time to remember the Marut, India’s first indigenous fighter.